Sint Willebrord, a small town near Breda in The Netherlands. The restaurant is established in a modernized townhouse just in front of the beautiful church in the centre of the village. The facade of the building is modern and contemporary. Wood, plants like bamboo and grey and gold colours provide an Asian look & feel. 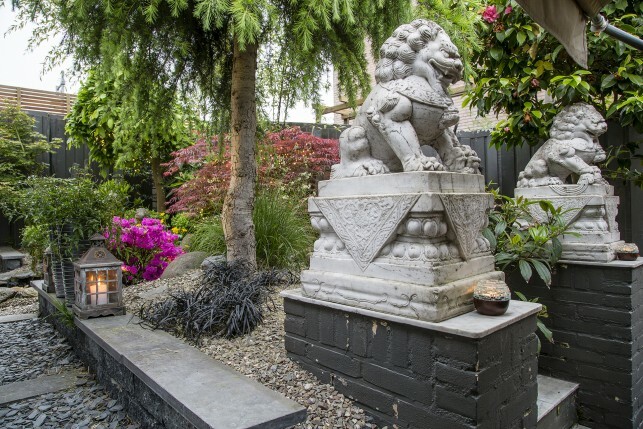 Once inside, the oriental feeling is extended with Buddha statues and other Asian accessories. 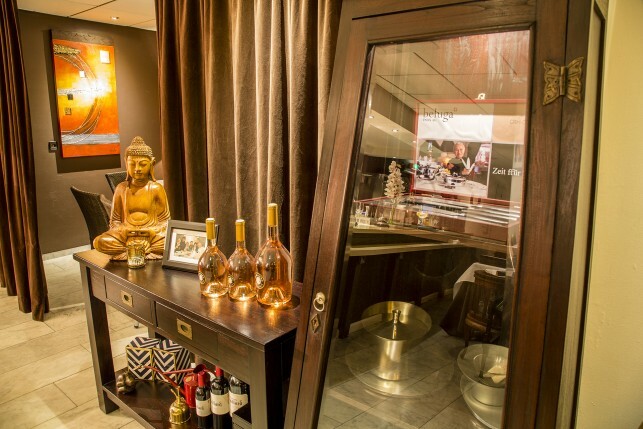 The various dining rooms are a bit heavily decorated, but a lot more stylish than the typical Asian restaurant. 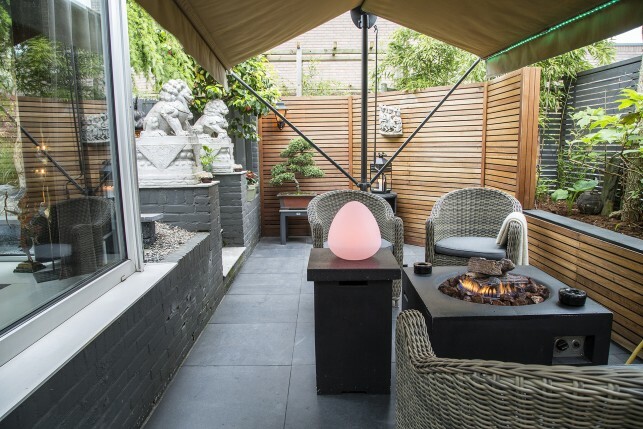 O&O restaurant also boasts a cosy smoker’s terrace and a beautiful Asian garden for outdoor lunches and dinners, when weather permits. 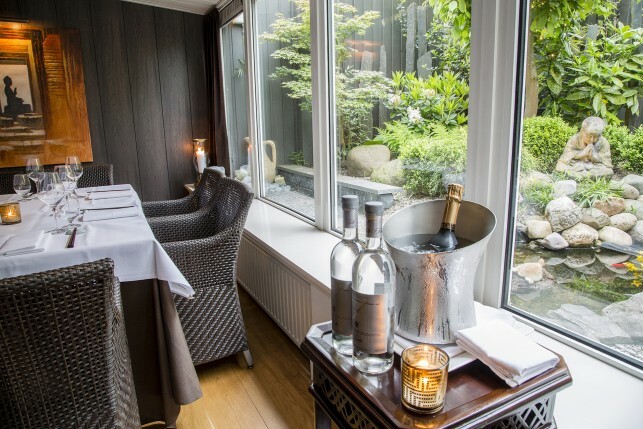 The restaurant is only a 20 minute drive from Antwerp, but if you’re opting for one of the menus with pairing wines you might consider staying in a hotel nearby. 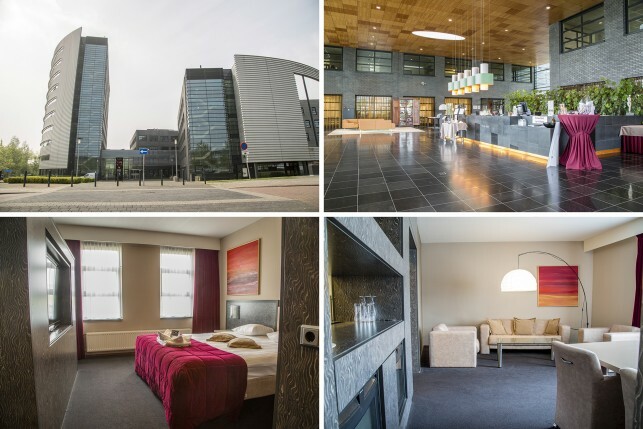 We chose for the safe option and spent the night at Trivium Hotel & Spa, a nice and contemporary hotel complex nearby the restaurant. Chef de cuisine Danny Tsang and his wife and Lady of the house Helena run O&O restaurant for over 30 years now. 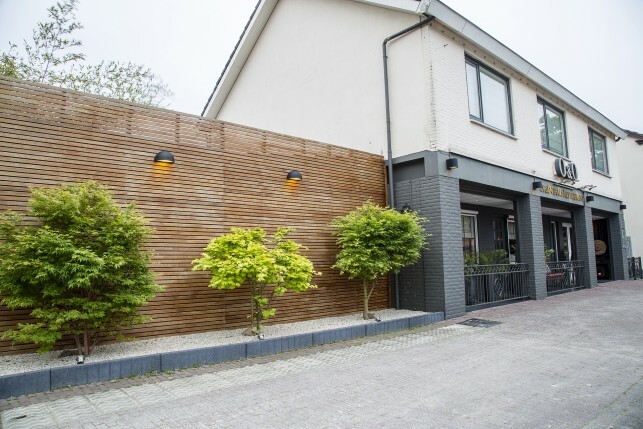 They started from a passion for great wines and fine Oriental cuisine and used this as a basis to create an exceptional fine dining restaurant for their guests. 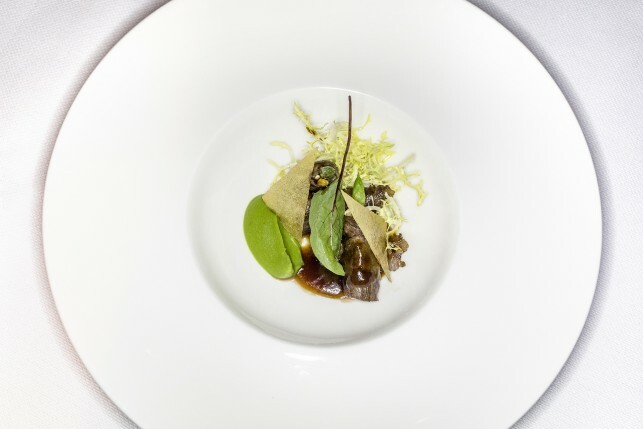 Chef Danny focuses on the Asian cuisine, with dishes originating in Malaysia, Singapore, Thailand, Hong Kong and Japan, complemented with local ingredients and classical French preparations. In the kitchen, Danny Tsang is assisted by sous-chef Maurice Leltz, Mike Tsang, Sven Keij and Son Le. 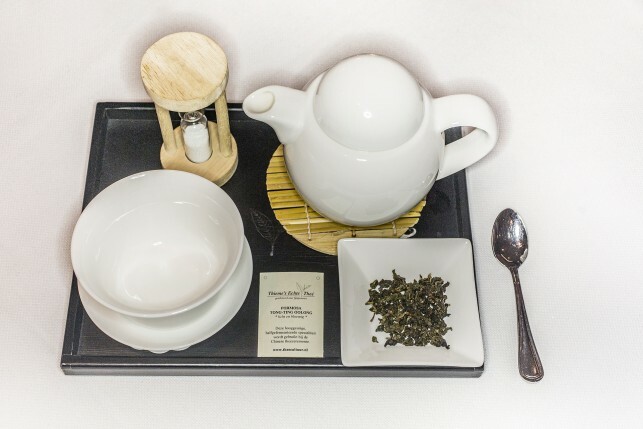 Danny’s daughter Monica Tsang is responsible for the general management of the restaurant and assists the team in the dining rooms. She welcomes and serves guests with a charming enthusiasm and has an extensive knowledge of food and beverages. 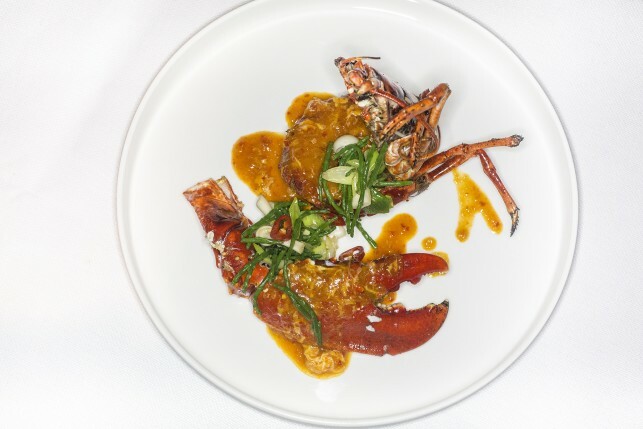 At restaurant O&O, the à la carte menu offers luxurious ingredients such as lobster, crab, oysters, sashimi, wagyu and lamb, prepared in creative fusion dishes with Asian, French and Western touches. 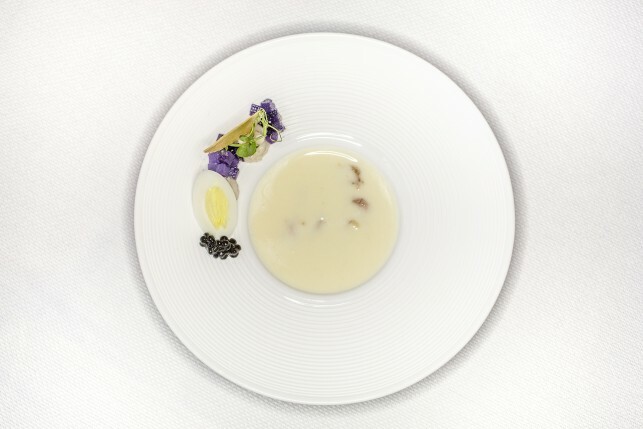 The menus offer a journey throughout the chef’s kitchen: there’s an extended 8-course tasting menu, a seasonal menu in 3 or 4 courses, a chef’s menu in 4-6 courses and a 4-course ingredient driven menu (which was lobster when we visited the restaurant). We sampled the extended tasting menu and enjoyed great dishes with pronounced, yet delicate, Asian flavors. 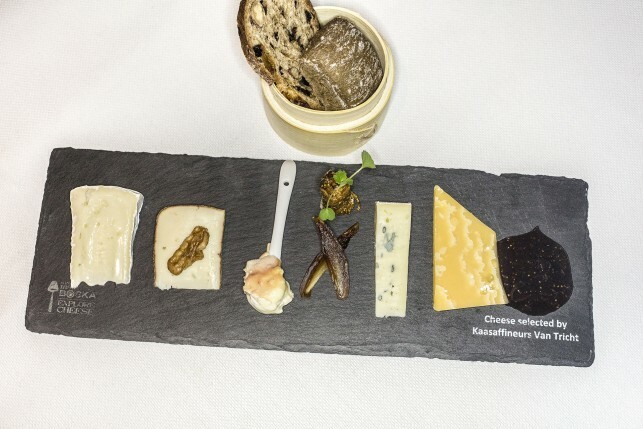 High quality international & local ingredients formed the basis of the dishes and are presented in recognizable ways with respect for the products. 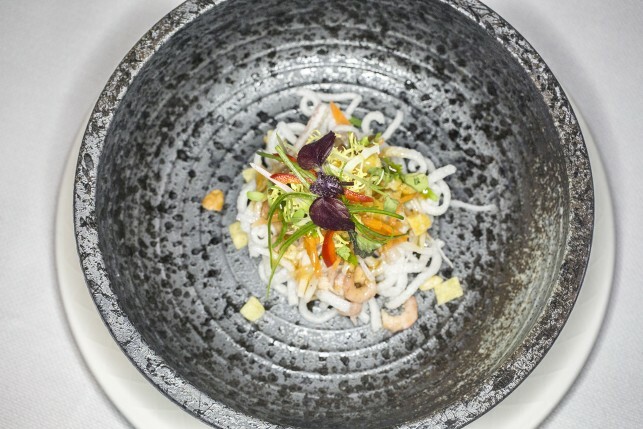 However, the presentation of the dishes is nothing you would expect from an Asian restaurant and the team presents their dishes in creative, contemporary ways. 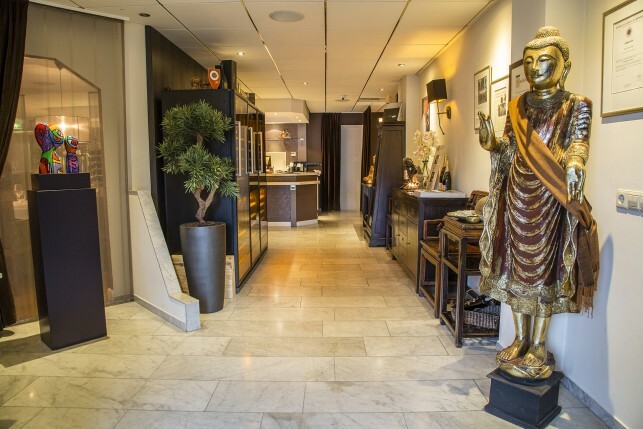 The name O&O derives from ‘Original Oriental Cuisine’, and that’s exactly what you may expect when visiting this restaurant. The O&O team will make their first appearance at Antwerpen Proeft this year, so make sure to drop by and sample some of their creations from 15-18 May in Antwerp. 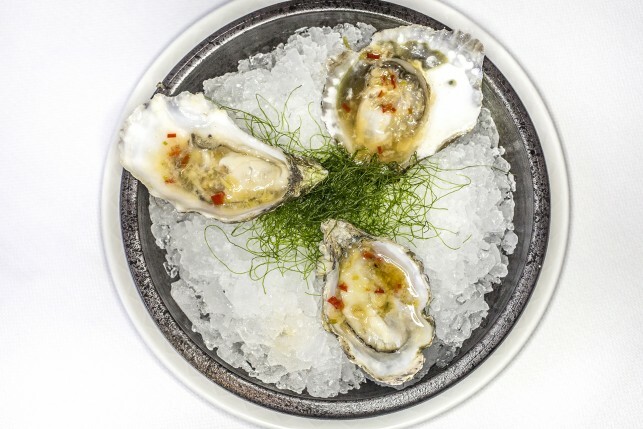 The delicate oysters were combined with a slightly spicy oriental dressing – a perfect match. A very special and crunchy salad, fresh yet bursting with flavor. 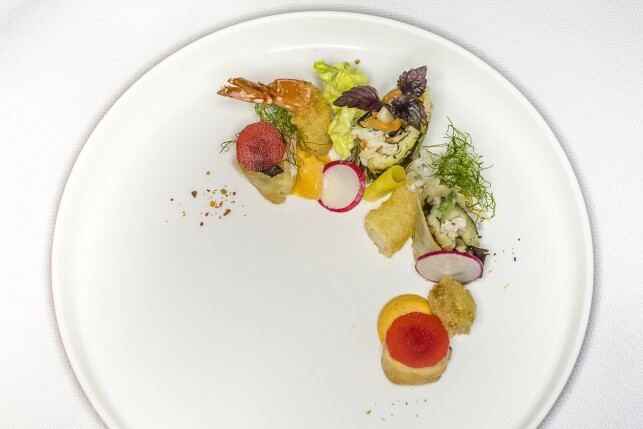 A creative take on the King Crab rolls: beautifully presented and with a pronounced Asian flavor profile. 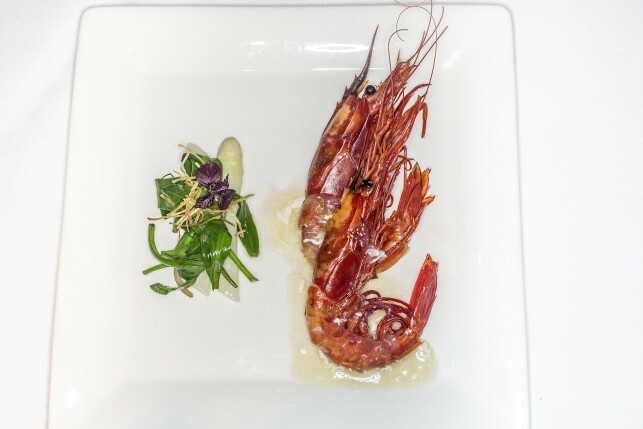 Delicious gamba’s, perfectly cooked and greatly combined with soya and ginger. The asparagus was slightly overcooked but proved to be a great pairing with the gamba’s. 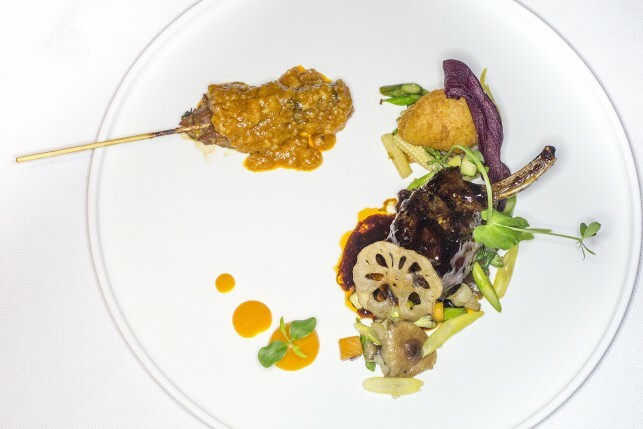 The lamb dish was simply delicious and originally prepared with a sweet Balinese sauce. The Singapore sate was equally delicious but could have been presented as a standalone dish as well. 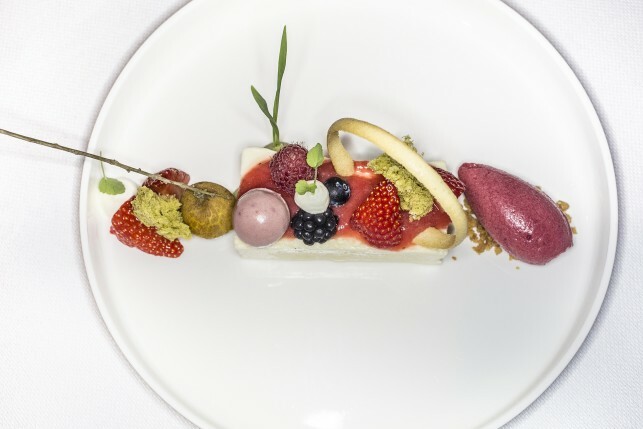 This dessert proved that the chef and his team are also capable of creating Western-inspired, contemporary dishes. Monica Tsang advises guests with their wine choices and proposes great pairing wines with Chef Danny’s delicate dishes. 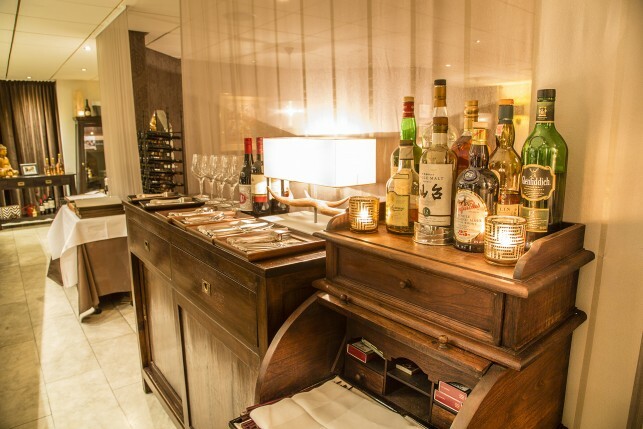 The wine menu includes classic wines, new world wines, and a fine selection of sake’s and Champagne’s. We enjoyed a great wine selection with our menu, and sampled a beautiful Sake to end our meal. Ask Monica’s advice to guide you through the wine menu, you won’t be disappointed! 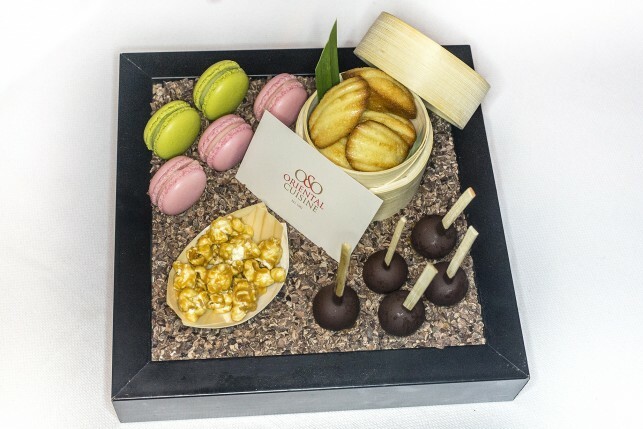 We had a very pleasant dining experience at Restaurant O&O and were surprised by the creative take on the Asian cuisine. 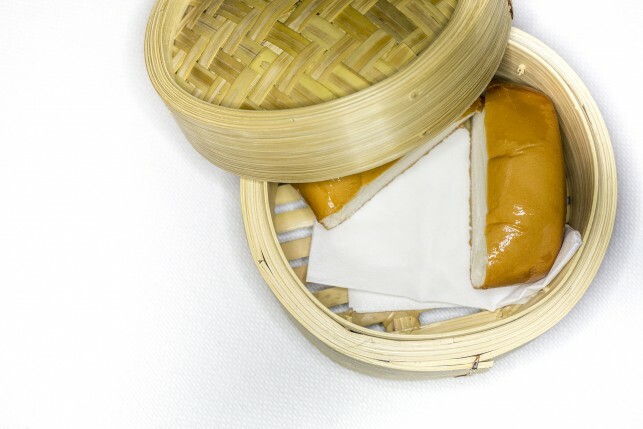 The very best of the East is combined with wonderful local ingredients, leading to tasteful, surprising dishes. Service is impeccable and the combination of great food, top wines and a superb service leads to a wonderful overall dining experience.